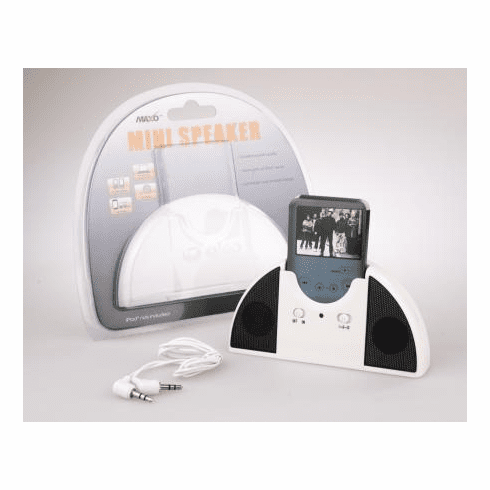 This brand new portable speaker system delivers full, rich sound with your iPod Nano player! No headphones required! Simply insert your iPod nano into the dock and listen to tunes in rich, clear sound anywhere you go. Perfect for travel. The speaker may be small and transportable, but don't let its size fool you. The sound is rich and impressive! ATC lab approved. FCC compliance. Quality assurance at the highest level.